Find hotel near Fontana Leisure Parks And .. This is 5-star Place for you to spend a great time with your close ones. So, if you are planning to visit the amusement park, this place is sure to make you excited. There are a big Jacuzzi and hot springs for you to get freshened up. 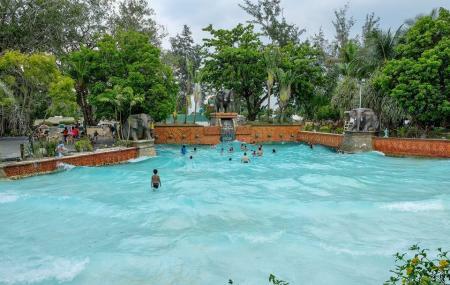 This water park and casino have outstanding accommodation for the visitors with all modern amenities. You can come here for any other special events also. You can also take part in various gambling games also. Love this? Explore the entire list of places to visit in Angeles City before you plan your trip. Fancy a good night's sleep after a tiring day? Check out where to stay in Angeles City and book an accommodation of your choice. How popular is Fontana Leisure Parks And Casino? People normally club together Boomerang Hotel and Clark International Airport Cargo Terminal while planning their visit to Fontana Leisure Parks And Casino. The place is so fun, beautiful and amazing. The water park is nice when we went there, the food is good and delicious and the villa is very accommodating. Perfect vacation. Place is good for weekend getaway. Good area to ride your road bike and swim in their 50m pool. The hot spring pools need maintenance though. Facilities are old, it was only made up by a fairly efficient room service personnel and consumable availability.